The way for sending SMS messages from a computer through a mobile phone or GSM/GPRS modem has a major limitation, that is the SMS sending rate is too low. 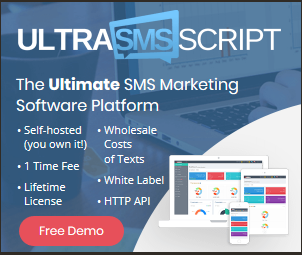 If you need a high SMS sending rate, obtaining a direct connection to the SMS center (SMSC) or SMS gateway of a wireless carrier is necessary. The connection may be made through the Internet, X.25 or dial-up. If you cannot get a direct connection to the SMSC or SMS gateway of a wireless carrier, another choice is to get a connection to the SMS gateway of an SMS service provider, which will forward SMS messages towards a suitable SMSC. It can be difficult for small businesses or individual application developers to obtain a direct connection to the SMSC or SMS gateway of a wireless carrier since a wireless carrier may only provide such service to those who have huge SMS traffic. Buying SMS messages in bulk means the total fee will be very high (although the fee per SMS message will be low). A more convenient way to send SMS messages is to use the SMS connectivity service of an SMS service provider, which is described in the next section.